Whenever I read a magazine or article that I like, I instantly take a look at the byline or the masthead to see who worked on it. And I distinctly remember a period of time when I lived in D.C. that anything I read that had to do with music journalism or local stories or events taking place in the area, the name that kept popping up was: Pharoh Martin (@YoungPharoh). Unlike most journalists or media producers who were trained to be really good at one thing, Pharoh has made sure that his skill set always matches whatever the market demands; positioning himself to be a major asset for any media organization he works with. He writes, edits, does photography, handles video production and post-production, print and digital layout design, code editing and so much more. Today, Pharoh is the online editor for multiple sites owned by Radio One and a founding editor of TheSmugger.com, a destination for the “urbane gentleman.” Here, he talks more about his juggling act at Radio One, his brief foray into magazine publishing and the importance of falling in love with the creative process. Hashtags + Stilettos (H+S): What are your day-to-day responsibilities as the online editor for Radio One’s stable of radio station websites in the Washington, DC area? 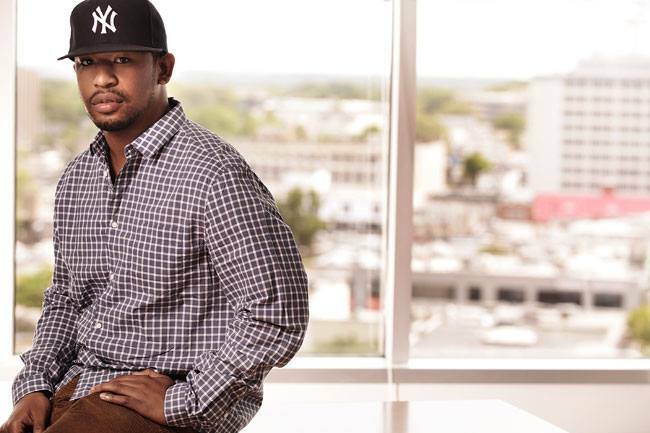 Pharoh Martin (Martin): My day-to-day responsibility is to oversee the digital content strategy of Radio One’s DC market. That includes everything from writing entertainment and news posts, scoping and aggregating content from [the web], conducting interviews, online contest execution, online promotions, photo and video production, maintaining websites, social media promotion, database growth, newsletter and SMS blasts, analyzing traffic metrics, optimizing content for SEO, graphic and webpage design, digital audio stream programming and maintaining our mobile apps. That doesn’t include the idealization sessions, endless meetings and reports we have to push through. I have 5 radio stations locally and I also assist with our stations in Baltimore, Philadelphia and our national sites such as Newsone.com and TheUrbanDaily.com so, as you can see, my plate is quite loaded. Martin: I didn’t really have an appreciation for words until I got heavy into rap. I liked books but hip-hop really opened the door for me. I was almost a nerd. I was obsessed with hip-hop lyrics from great lyricists and hip-hop magazines like The Source, Vibe and XXL. I would study rappers’ rhyme schemes and the way they used words. I would also study the way hip-hop journalists wrote narratives in features and the creative writing mechanisms they employed. As a teen, I always walked around with a rhyme book, a magazine, a small rhyming dictionary/ thesaurus, and novel in a backpack. I wrote little rhymes and poems. It helped keep my head straight while dealing with growing up how I grew up, which was pretty difficult. I found it hard to freestyle rap so I figured early on that I wasn’t cut out to be a rapper but found that I was pretty good at writing. I had a bigger passion to write about rap culture. I wanted to be a music journalist and chronicle the culture and music I loved like the writers whose bylines anchored the magazines I grew up reading. Now I’m obsessing over the writing in TV shows and movies and the art of storytelling in script writing. H+S: What was your first writing or journalism job? Martin: My first writing job was a freelance article for local black newspaper called the Afro. A guy I worked with at one of my jobs in college wrote for them and he connected me with the editor. They needed a writer in a hurry and so I was lucky enough get a 1000-word assignment on my first gig. I think it paid $75 or something paltry but that was amazing to me at the time. I was assigned to write a feature piece about a local retail store that did stuff with a Black model that was pretty noted on the fashion scene at that time. I did a good enough job to get more assignments and it kind of kicked off from there. H+S: Back in 2004 you co-founded the now defunct Streetz Magazine and in 2009 you founded TheSmugger.com, a lifestyle site for the urbane gentleman. What were those experiences like? And what’s been the biggest difference in working in digital versus print? Martin: I was in college when I had an opportunity to start a magazine. We had a lot of factors working against us being young and very inexperienced and having very little startup capital. We had plenty of grind and passion though. The Streetz Magazine days were awesome. We were young, independent and on the edge. We had great access to the music industry and local music and urban clothing scenes. We were physically in the streets every night handing out magazines like they were flyers or dropping them in events and parties. I think the fact that we were music based and had a physical product (a magazine) in our hand helped generate interest in our product, which is quite harder in the less tangible, exceedingly more crowded digital space. We had very little competition in the cities we distributed in and had pretty good timing so that worked for us. The Smugger represented what was needed and underrepresented in the urban male space. The idea for The Smugger came about when I was in Howard University. We got older, we were educated, our tastes changed. We still loved hip-hop but we were looking for something that spoke to Black professional men. The Smugger came from that. We liked what publications like GQ were doing so we wanted to do something in that space that represented us. I wanted to go into a different direction than I did with Streetz. Pharoh prepares for an interview. I love the print space. I love the permanence and intimacy of it all. You can put your soul in creating an issue a month at a time. The time you put into writing a feature piece, laying it out and it being consumed. I love that but we don’t have that luxury anymore. The digital space, on the other hand, everything is immediate and mostly disposable. People’s attention spans are not the same. On the flip side, the digital space is less expensive and not as guarded, which is good. You need a lot of funding and access to distribution to do a magazine properly. Mobile devices gives our content a home in our readers pockets but we are still trying to figure out how to re-create the experience you get when you read print. We aren’t there yet. I love telling stories like I did with magazines and I’ve been searching for a way to do that. 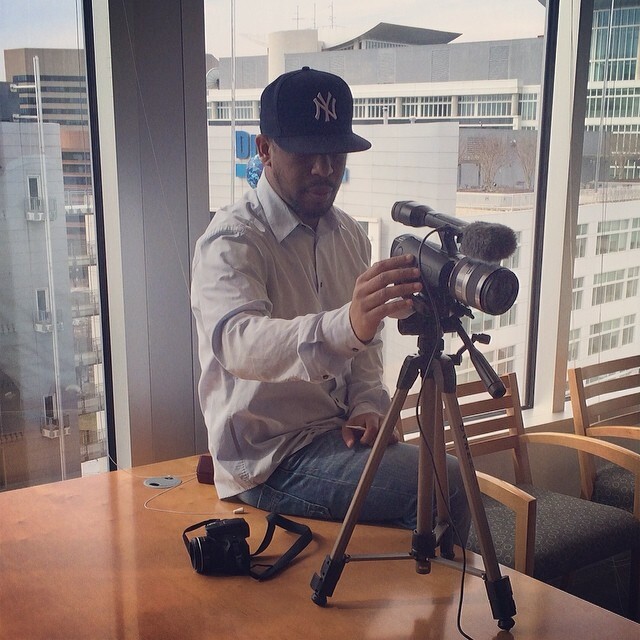 I think with video I can do that so i’ve been getting real heavy into video and film production for the web. H+S: You’ve held a lot of different journalism roles throughout your career. What do you think are the most important skills an up and coming journalist should develop? Martin: I’d say find a way to always stay curious, observant, inspired and informed. Reading, consuming creative things and experiencing life does that for me. Reading well written books and pieces and staying current with the news not only keeps your writing on point but it also helps keep you informed and inspired. Stay on top where your industry is headed and the technology used. If I didn’t do that I’d still be trying to chase magazine jobs and would’ve had very little experience in the emerging digital space. Martin: Start a blog. You can use it to sharpen your writing and eventually establish a brand and a voice through it. It forces you to be entrepreneurial, develop content ideas, and should help you develop related skills such as coding, SEO, social media, content marketing and producing videos. Martin: Somebody told me to fall in love with the process. The process of creating is what drives me everyday. It becomes your drug. It incites your passions. Whatever your process is you need to fall in love with it. You’ll never have to work a day in your life. 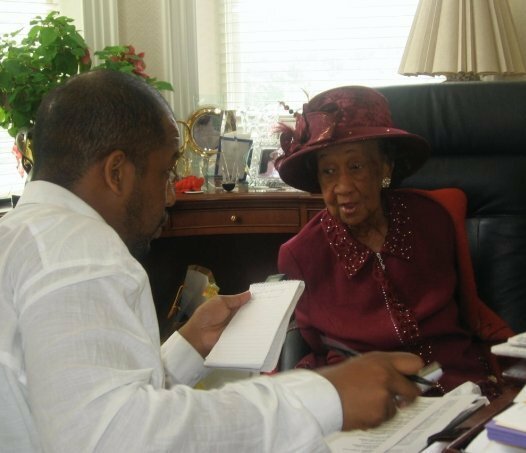 Pharoh interviewing Dr. Dorothy Height. Martin: Introductory email and a maybe a phone call later if I still don’t reply works best. It allows me to give it a look when I’m not distracted by a million things going on. As you can see from my day-to-day I’m all over the place so I pay less attention to things not from my network so it might take a couple times. Just being honest. Email me your pitch with links to you and your work. Then follow up with a phone call. What they say about persistence is true. It shows a genuine interest of wanting to work instead of being seen as the guy on the corner asking for change from anybody who walks by, if you get the analogy. H+S: What types of stories, content, projects are you looking for? Martin: We look for evergreen pieces that would work good on our radio station sites locally or nationally on our content vertical sites. Evergreen means feature type content that would still be relevant in a month or longer. Martin: When I’m in the middle of a project or something but, of course, there’s no way to know that, which is why email works best. I can get to it later. Martin: I hate it when I get hit with a canned pitch that was sent to everybody but has no relevancy to my audience. It’s just junk mail. Tailor your pitch to individual publications/ outlets. It’ll up the chances of your client/event getting coverage and us getting a relevant story for our audience that’ll hopefully result in the engagement we seek. Everybody wins. Martin: Just nurture the relationship as you would any other business relationship. Publicists can be your best friend or the biggest thorn in your side depending on the relationship you have. It’s a give/ take kind of relationship so they can be the person that feeds you awesome stories and give you the access you need to certain clients and events or they can be the person that burns the bridge to everything they have keys to. In turn, they need you and the publicity you can give so you guys can help each other. You have to learn to give and take. The better your relationship the more favors you get. It becomes one beautiful thing. Martin: I guess it always helps to always have access to great clients and events that cater to what I cover. 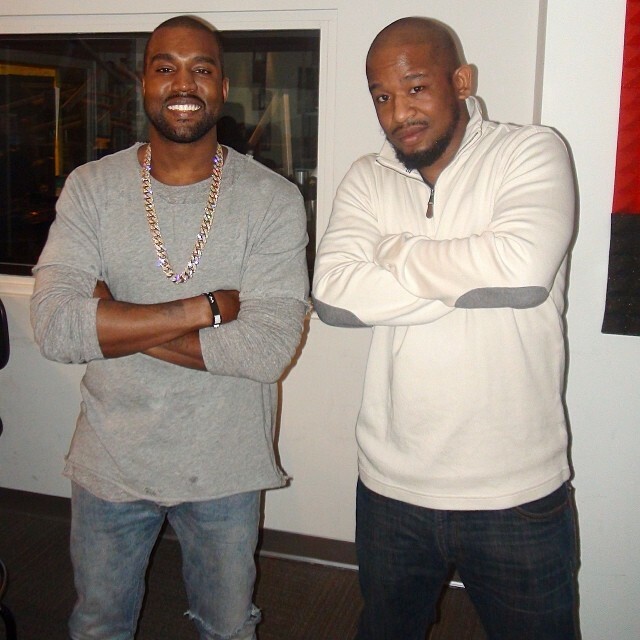 Pharoh and Kanye after an interview. My favorite inspirational quote is… “You can only become truly accomplished at something you love. Don’t make money your goal. Instead pursue the things you love doing and then do them so well that people can’t take their eyes off of you”- Maya Angelou. My favorite book is… The Autobiography of Malcolm X, the Autobiography of Steve Jobs and The DaVinci Code. 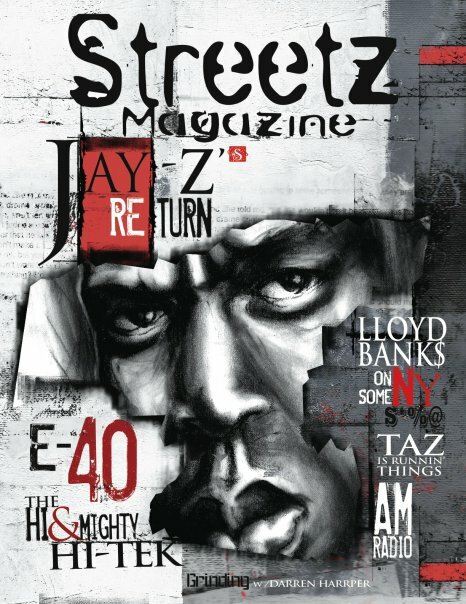 I had the most fun writing or working on… Streetz Magazine. I’m most proud of… Being the first in my family to graduate college and being able to say I owned a magazine that made some strides. My proudest professional moment was covering President Obama in the White House in his first term. I was the only young Black journalist in the room at that time covering the first black president in the White House. That was a very big deal for me. My dream interview would be with… Unfortunately, most of the people I would want to interview are dead. For me it’d have to be somebody that you don’t necessarily hear from often but when you do they have interesting and profound things to say. Harry Belefonte, Jony Ive from Apple, Richard Branson or Dr. Dre are one of the few people left like that. But if I had to pick only one it would be Barack Obama. iPhone, Android or Blackberry? Team iPhone all day. My 3 favorite mobile apps are… Flipboard, Facebook, Evernote. I have…unread emails in my inbox right now… If you count both my work and personal I have over 6,000 unread emails. I’ve gotten good at scanning to see who sent it and what the subject is. If I don’t know you and your subject line doesn’t seem important I probably won’t open it. A fun fact about me is… I used to serve in the army during the war in Afghanistan. You can find me… On Instagram, Linkedin and Twitter.